Whether you are at work, school, home, or sports, it is essential to wear the best form of eye protection recommended by experts for specific situations. Exposure to a range of hazards, from sunlight and intense heat, to blood and chemical splashes, or dust and industrial debris, can cause serious eye injuries and permanent loss of vision. For the best eye protection from the ultraviolet (UV ) radiation of sunlight, the American Academy of Ophthalmology recommends oversized or wraparound sunglasses. They should be labeled 99 percent or 100 percent UV protection, or "UV400." These lenses are effective in absorbing UV-A and UV-B radiation. According to Gary Heiting, OD, of All About Vision, direct or indirect exposure to UV rays of can damage your eyes and cause cataracts in the lenses, retinal damage, and other eye diseases. It is important to protect your eyes from the sun not just during the summer but also during the winter, especially when you are on the ski slopes. Vision Care Specialists of Denver, Colorado notes ski goggles offer the best protection when skiing. They protect your eyes from UV radiation, as well as from intense glare, wind, and snow. Maximum eye protection is essential in all situations where lasers are used, such as manufacturing, graphic design, military and medical applications, and cosmetology procedures like laser hair removal. Special-purpose laser safety goggles provide the best form of protection. The American National Standards Institute (ANSI) sets the standards for eye protection during laser use in guideline ANSI 136.1. The optical density (OD) of the lens in the goggles is also important - higher OD lenses provide better protection from penetration of your eye with the laser beam. The wavelengths and OD specifications are printed on the lens of the goggles. According to the National Institute for Occupational Safety and Health (NIOSH), safety goggles offer the best eye protection from splashes, splatter, and spray of blood, other body fluids, or chemicals. 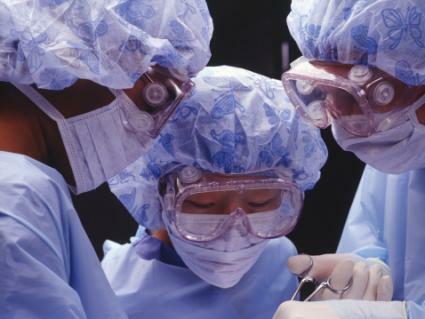 In medical, surgical, and lab procedures, and other risk situations, they reduce the risk of transmission of infection to the eye or permanent damage from chemicals. These safety goggles may be vented to reduce fogging of the lenses. If so, ensure yours are indirectly rather than directly vented to lower the chance of fluids reaching the eyes through the vents. Your goggles can be worn over prescription glasses or contact lenses but should fit snugly around the eyes and across the brow. A pair of goggles can also be outfitted with prescription lenses. A face shield that is tinted or heat-treated to prevent splatter is recommended as a secondary form of eye protection over goggles. It should protect the rest of the face from brow to chin and ear to ear. However, a face shield should not be used as the primary form of protection against fluid splashes, splatter, and spray. Multi-purpose goggles provide the best all-around protection during the chores of gardening, such as planting, weeding, or pruning. When using a lawer mower, hedger, trimmer, spade, or other gardening tools, choose a pair of goggles with impact-resistant lenses for protection from flying stones, stems, grass, and other debris. These goggles should meet ANSI Z87.1 standards for design, construction, and testing of the frames and lenses. Tinted lenses add protection from UV exposure. Alternatively, wear your goggles over prescription or non-prescription sunglasses. Close-fitting goggles protect your eyes from dust, grass, and other airborne particles. 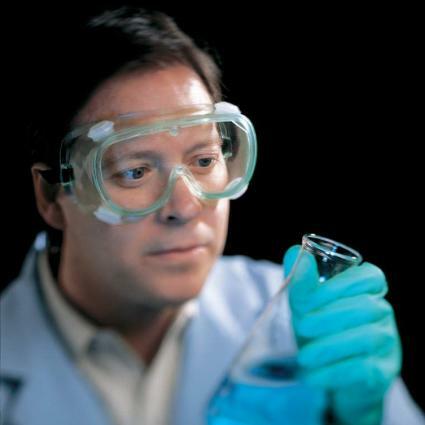 Wear a face shield over your goggles to add secondary eye and face protection when spraying or using chemicals. The appropriate form of eye protection for carpentry and craft woodworking and other do-it-yourself projects depends on the size and quantity of the debris generated. According to Woodworking FAQ: The Workshop Companion, wear goggles as the primary eye protector when the work generates a lot of dust, or you use wood finishes and chemicals that could splash in your eyes. They also protect your eyes from wood chips that might project into your eyes, eye socket, or surrounding skin, and the lenses should be impact-resistant. You can wear your goggles over prescription glasses. Tight fitting ones prevent dust from flying into and abrading your eyes, particularly important if you wear contact lenses. Add a face shield for further protection for eyes and face against debris and woodworking fluids. If you expect to have a lot of heavy dust and debris from sawing, sanding, chiseling, and chopping, consider also wearing a full face piece respirator to protect your lungs. Safety glasses can protect your eyes if your work only produces small wood chips. Glasses with side shields provide added protection from debris entering your eyes from the side. Wrap around safety glasses can be converted to function like goggles with a soft plastic or rubber face seal insert. Safety glasses can be outfitted with either non-prescription or built-in prescription lenses. Wear a face shield over the safety glasses as a secondary protector for your eyes ad face when generating large wood chips or other airborne particles and for added defense against woodworking chemicals. The lens and frame of the industrial-purpose goggles must meet OSHA and ANSI Z87.1 standards. Lenses made of polycarbonate or Trivex withstand high-impact threats from airborne projectiles better than those made of glass or plastic. All goggles should be protected from fogging, easy to adjust, and should fit comfortably to encourage 100 percent use by workers. You can use safety glasses with eye shields if you determine the hazard is minor. For added protection for eyes and face, wear a face shield attached to a headpiece over goggles or safety glasses. The shield should also be made to ANZI Z87.1 standard for optimum protection. 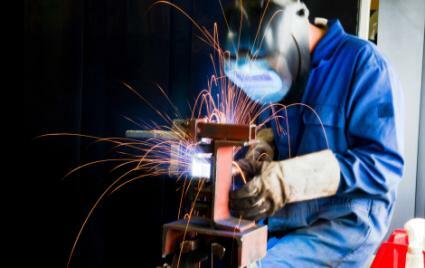 The high intensity light of the welding torch emits UV and infrared radiation and radiant heat, as well as sparks (welder's flash) that can damage the eye. Welding goggles, welding glasses, and welding helmets provide effective protection depending on the type of welding, according to the Occupational Safety and Health Administration (OSHA) guide (pages 13 to 15). To protect the eyes and face from the sparks, molten metal, intense light and heat radiation, and other hazards of electric welding, OSHA recommends wearing tinted welding safety glasses or goggles under a welding helmet. To protect the eyes against burns, the tint should be the darkest appropriate shade to absorb the UV rays from the light intensity of the welding torch. According to the American Optometric Society (AOA), welding helmets are fitted with a multi-layered faceplate with filtered lenses so the welder can see. The helmet itself does not protect from impact injuries and is only a secondary protection for the eyes and face. Based on the OSHA guidelines, tinted welding goggles are protective for the less intense hazards of acetylene torch welding. Always wear a face shield designed for the task over the goggles for added protection for your face and eyes. A full face piece respirator is the best form of protection in disaster and other emergency situations when the lungs, as well as the eyes and face, are at risk, according to NIOSH recommendations. The face piece should be impact-resistant according to ANSI Z87 standards to protect against threats to the eyes from flying debris. In addition, if you must wear glasses, get prescription inserts made to fit your specific respirator, because ordinary glasses prevent the respirator from sealing properly to your face. In a situation where oxygen is expected to be deficient - including non-emergency hazardous work environments - an air-supplying full face piece respiratory is best. For emergency situations where there is no risk of lung inhalation of noxious materials, appropriate safety goggles are an effective form of eye protection. They will protect the eyes from chemicals, dust, and impact from other debris at the site. These goggles should fit tightly over your prescription glasses or contact lenses. Wear them with a face shield to provide additional protection for your face in the event of chemical or body fluid spray or splash. Consider some of the following top-rated eyewear choices. These inexpensive ATTCL brand sunglasses, sold on Amazon for about $17, fit the bill for oversize frames and full UV protection lenses - in a choice of five colors. Almost 90 percent of reviewers on Amazon give this product high ratings. If you prefer to try on your sunglasses first, look for these or similar styles in your department store. The lightweight, wraparound Pyramex Intruder Safety Glasses with Clear Lens are listed by Safety Glasses USA as its top selling safety glasses. The lens are polycarbonate and protect from impacts and UV rays and are ANSI Z87.1 compliant. These glasses are listed for $1.40 on the Safety Glasses USA website. A companion, tinted pair, the Pyramex Intruder Safety Glasses with Grey Lens retails for $1.60. The following safety goggles for specific purposes are good choices. For protection from chemicals or body fluids, the OBERON Chemical Splash Goggles meet ANSI Z87.1 standards and retail for $17. They have anti-fogging, and the clear thick, polycarbonate lenses are silicone-coated on the outside and resistant to acids, caustic fluids, solvents, and other chemicals. The indirect venting prevents chemicals, as well as blood, from reaching the eyes of medical and lab personnel. 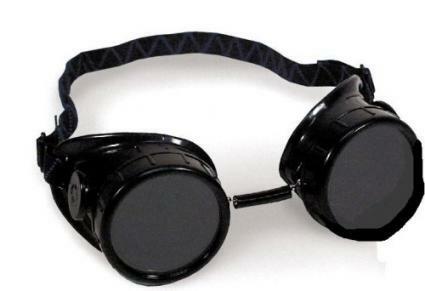 These indirectly vented Chemical Splash Impact Goggles, from The Home Depot at only $3, are a cost-effective option for scientists and science students. Reviewers rate the goggles 4.2 out of 5 stars. The product meets ANSI Z87.1 standards and protects the eyes from chemicals and other liquid splashes and sprays, flying chips, and dust. It is also OSHA rated for eye protection during industrial tasks. The eye cup type Hobart 770096 Welding Oxy-Acetylene Goggles retail for around $8 on Amazon. Customer reviews rate the goggles 4.3 out of 5 stars. The goggles are vented to reduce fogging, The double lens unit in the eyepieces consists of a clear plastic lens over a thicker, tinted glass lens, which provides the welding eye protection. The ESS Innerzone 1 Goggles for fire fighting and rescue sell for $56 on Safety Glasses USA. According to the website, the ESS Innerzone series, including the Innerzone 2 and Innerzone 3 goggles, are "used by the world's most elite fire fighting teams." The goggles are OSHA and ANSI Z87.1 compliant, filter out smoke, dust, and particles, and protect against ballistic impact. The anti-fog and anti-scratch, coated, polycarbonate lenses provide 100 percent UV radiation protection. Consider the following multipurpose safety goggles. 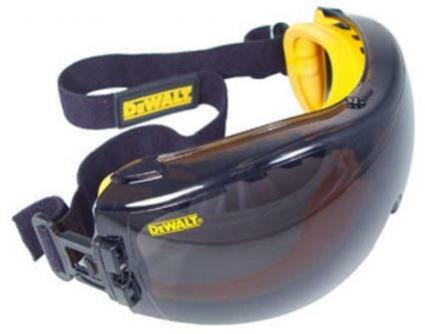 For outside jobs, consider the Dewalt DPG82-21C Concealer Smoke Anti-Fog Dual Mold Safety Goggle. They cost about $11 on Amazon where 84 percent of user reviews give the product high ratings of 4.4 out of 5 stars. This pair of multipurpose goggles has an adjustable cloth head strap and protects against dust, debris, chemicals, projectile debris, other and impact hazards and is ANSI Z87.1 compliant. The tinted polycarbonate lenses gives 100 percent UV protection, which makes them ideal for gardening, outside carpentry and woodworking, and other outdoor do-it-yourself projects. For inside work, the companion un-tinted Dewalt DPG82-11 Concealer Clear Anti-Fog Lens Dual Mold Safety Goggles offer the same protection as the Smoke Anti-Fog version against chemicals, dust, debris, wood chips, and other impact hazards. This product sells for about $12 on Amazon, where reviewers rate it 4.2 out of 5 stars as a multi-purpose eyewear. Best Consumer Reviews rate this product as the winner of its 2015 top-rated safety goggles. The polycarbonate lenses are impact-resistant and ANSI Z87.1 compliant. The MSA Safety Works Clear Adjustable Face Shield retails for about $16 at Amazon.com. Customers give the product a 3.7 out of 5 stars rating. The face shield has an adjustable headgear and is ANSI Z87.1 and OSHA compliant and provides secondary protection over safety glasses and goggles. It also protects against UV radiation. 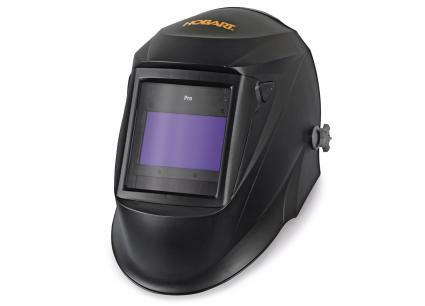 The lightweight Hobart 770753 Pro welding helmet is rated by welding helmet expert.com as the top helmet with a 4.7 out of 5 stars rating. The auto darkening LCD technology lens in the large viewing area provides flexibility to work in varying light conditions. It is suitable for the professional welder, as well as the do-it-your-selfer. The helmet is available online for $161 at Cyber Weld. According to Best Consumer Reviews, the lightweight MSA Safety Works 10041139 Full Face Multi Purpose Respirator is the winner of top-rated consumer reviews for a respirator mask, with A 4.6 out of 5 stars rating. The respirator is NIOSH approved and protects from a variety of chemicals, noxious gases, foul odors, dust and other particles, and is currently available on eBay for under $200. The large lens in the face piece of this industrial grade respirator provides wearers a clear view. Because of the complex factors that go into choosing laser safety goggles, don't try to pick out one on your own. Unless you are knowledgeable about laser physics, rely on your workplace laser safety officer (LSO) to choose the best product for the type of system you are using, or ask another expert. Visit the Kentek laser online store to get an idea of the range of laser safety eyewear available. Maximum eye protection is essential every time you are in a situation that puts your eyes at risk, even if you perceive the threat to be minor. Choose the best eye protection that is designed for a specific type or types of hazard, whether at work, home, or play.